Rugged Devices Increase Productivity And Shipping Speeds At Mueller Co. Mobile computing problems in the warehouse can place undue stress on employees and operations. Whether it’s connectivity or ergonomic issues, mobile technology in the warehouse can quickly hinder productivity rather than help employees work more efficiently when not strategically planned out. Our world is becoming more and more connected every day. Connectivity can now be found in both consumer and commerical environments, from the smart phones in our pocket, to the equipment sensors in a factory. The IoT, and Industrial IoT, are becoming a part of our work and homelife. What is the “Internet of Things” and what does it mean for manufacturing? Inefficient warehouse practices can cause companies to see smaller margins on their sales and services, so change management within the WMS is perpetually a hot topic. Some new feature or module comes along that can improve efficiency in labor or inventory, and you’re ready to see those savings. Today’s motor vehicle is no longer for transportation only – it’s also a highly advanced mobile office that integrates voice, data, video, warning and operating systems. As new technologies evolve, vehicles are becoming more complex – and so do their upfits. Vehicle upfits for mobile offices must solve specific business problems and meet work function requirements, all while accounting for occupant safety and ergonomics concerns – not to mention time and budget constraints. With this year’s Electronic Logging Devices (ELD) mandate looming ahead, it’s important for fleets to understand the impact it has on their business and strategically plan how to implement the new standards. Beyond choosing eligible devices and software to track, manage and share data, consider how those devices will be secured inside a vehicle. The right in-vehicle docking and mounting solution for devices not only protects the fleet’s investment in equipment, but also ensures a safe and comfortable mobile office for drivers – reducing the risk of distraction and increasing productivity. 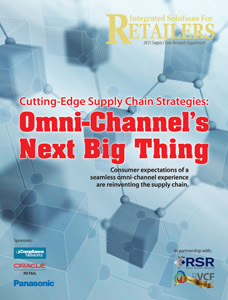 Consumer expectations of a seamless omni-channel experience are reinventing the supply chain. Communication between retailers and suppliers will look very different in the near future. In order to meet the increasing demands of the consumer, control costs, and enhance collaboration, retailers and suppliers must improve processes for sharing data and extract as much value as possible from that data. The Trading Partner Interface of the Future, as conceptualized by RVCF, will achieve these goals while strengthening relationships between retailers and suppliers. By exploring the key areas of retailer-supplier communication, this report provides insights into what such a solution would entail and the business benefits it would create. Stakeholders in technology companies should take note that it is our vision that unrestricted, synchronized data sharing is the direction of the future. iristaTransport: Transportation Management System In a practical, detailed manner, iristaTransport transportation management system (TMS) addresses the fundamentals of a shipment life cycle. Centrally the system manages simple to complex scenarios involving multiple carriers, modes, owners, consignees, and hubs. Routing, rating, consolidation, manifesting, audit and claims are automated producing accurate, compliant and cost effective shipments. Epicor Distribution Effective distribution means having the right tools to efficiently plan, assemble, ship and deliver the goods your customers want, when they want them. It's one thing to understand the distribution needs of your organization, but quite another to execute at peak performance. For that, you need the right software solution. Janam’s XP Series delivers state-of-the-art processor and memory technology in a remarkably small and light package. As a drop-in replacement for existing rugged Palm OS mobile computers, the XP Series provides an easy migration path that protects users’ investments in legacy Palm applications and work processes. Domino RFID-Enabled Data Center Management Domino ISG provides real-time traffic control that eliminates the delays, errors, and omissions of manual tracking. Asset tracking systems automatically monitors movements at portals, entry points and racks as assets move throughout the facility. Online Data Validation / ODV Data Manager Online Data Validation is Printronix's exclusive automated solution that evaluates every bar code to provide total scanning assurance, automatically overstriking invalid bar codes and reprinting valid ones. Intek Integration's Slot Logik Slotting Tool Intek Integration's Slot Logik Slotting Tool can be used as an integral component of Intek's Warehouse Librarian Warehouse Management and Control System or as a stand alone application. Freight Bill Auditing And Payment With this product, TSi Logistics has reached a new revolutionary level of freight bill auditing and payment that incorporates state-of-the-art imaging technology, Web entry, and more choices for electronic data entry.